Although our website boxinghistory.org.uk has not been formally launched, web pages are being constructed and plenty of information is already available to anyone interested in the history of boxing in Britain. • The complete records, including photos and biographies, of every British Champion between 1909 and 1979. • The complete records of the top 2,000 British boxers of the 20th century. • A list of every British boxer active between 1900 and 1979 who had three or more professional contests. • The complete results for every ABA Championship held between 1950 and 1979. • The complete results for every Army, Navy, RAF and Combined Services Championship held between 1892 and 1979. • An overview of the history of boxing in around 200 towns and cities across Britain. • Rankings of the top 10 fighters in Britain, at all weights, between 1909 and 1979. • The complete results for every area title bout and every area eliminating contest in Britain between 1929 and 1979. • A set of results for those unofficial area and county championship bouts that occurred between 1900 and 1929. • A detailed historical overview of the top boxing stadiums in Britain between 1900 and 1979. • A range of additional articles which will tell the story of, amongst many other things, booth boxing, pitmen’s boxing, the leading managers, trainers and promoters, ethnicity in British boxing and the development of the rules and regulations that control the sport. Records of five pre-war British champions (Ronnie James, Fred Webster, Gunner Moir, Charlie Hardcastle and Hamilton Johnny Brown) are already available on the site. We aim to add a new record to the site each Monday, until they have all been published for the period 1909-48. These records draw on the very many previously unpublished contests that Richard Ireland and Miles have uncovered during the last 10 years and will be the most comprehensive and accurate records for these boxers ever published. 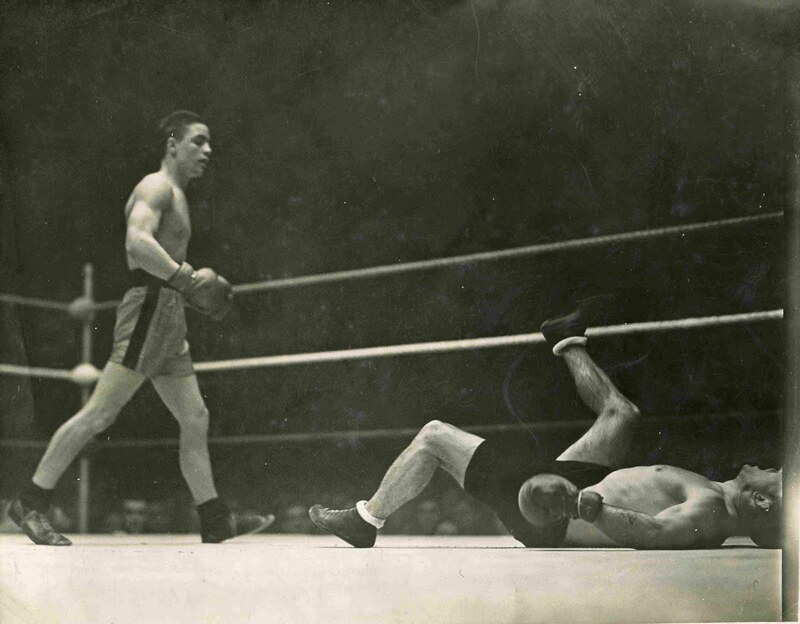 In conjunction with John Mudie we are working on the rankings for British fighters during the period 1909-47. These have never been produced before and once amalgamated with the ratings produced by Boxing News between 1948 and 1979 they will be a comprehensive record of the leading British men at all weights for a seventy year period. The flyweight rankings for this period are available now. We have produced very detailed lists of the ABA contests at all weights for 1972 and 1978. These include all of the regional and zonal qualifiers and tell the story of how the champions managed to fight their way through the many preliminary events that led to the finals. During 2012 we intend to publish a complete set of results for the period 1960-79. We have also published complete results for the Army and Navy Championships of 1907, 1911 and 1914. During this period many army and navy personnel, as well as being servicemen, were also leading professional boxers and quite a number of them became British champions. These results from 100 or so years ago contain the names of many interesting boxers and will pave the way for a complete record of military boxing during the 20th century. 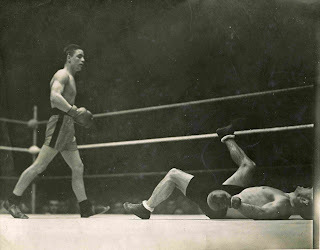 The complete set of results for every area title bout and every area eliminating contest in Britain between 1929 and 1979 is now available on the site. We have started the process of analysing the history of boxing in Britain’s provincial towns and cities and there is an article available on the development of the sport in Middlesbrough. During the next year we will produce similar articles for other locations, including Bolton, Norwich, Bristol, Dundee, Merthyr and Derry. There are details on the site showing all active professionals between 1905 and 1974 who had three or more bouts and during the next 12 months this list will be supplemented with additional material for 1900-4 and 1975-9. We will also be working on a very significant development over the next few months. We aim to try to establish just who were Britain’s best 2,000 boxers during the twentieth century and to produce and publish complete career records for each one of them, along with a mini biography. This is a big task but things will start to happen soon. Check this blog, our Facebook page and Twitter account to read about this and other exciting developments as they happen. Also, keep an eye on our Flickr account, which will contain a large number of boxer and fight images, many of which have never before appeared online. Is the boxer to the left Peter Kane? I'm doing some research as part of an exhibition on local sports people at the Museum of Wigan Life and wondered whether I could have your permission to use this fantastic image? The road for Haye vs Bellew Live Fight is not fare duration and will be one of the most brutal beatings and it will held on March 4, 2017 at O2 Arena, London, England. Let the champions live! I was fascinated by the history of boxing that you tell out in your blog. I was pretty impressed with 2000 best, so I'll check Facebook. I'm also keen on boxing a bit and honing the right jab. But college education doesn't leave me free time for boxing. So I must be cunning and use such platforms as essay factory . I'm ready for anything to justify success and become a champion. But technical education is an important part of my life. I'm looking for more information on a gentleman named Private George Ring who fought at the 1918 Royal Albert Hall - British Empire vs US Armed Forces against Harry Greb & Mike O'Dowd?